It's been more than a year since we last visited Bacolod City. Because I was so busy with work, I failed to write about the paradise that is Mambukal Mountain Resort which sits in the sleepy town of Murcia, Negros Occidental (around 16.5 kms away from Bacolod City). 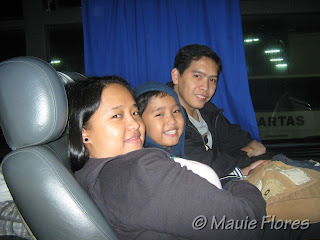 From Bacolod City, we rode a non-airconditioned minibus for an hour to Murcia. The place is operated by the provincial government and entrance fee was at Php 50 for adults and Php 10 for kids. There are separate fees for using the swimming pool and the hot pools. We also rented a big cemented picnic cottage for Php 600. There's a sink and barbecue grill beside it which made it very convenient for us to prepare our picnic food. Since we are already used to swimming pools here in Manila, we chose to hike up to the famous water falls of this mountain resort. We were told that there are more falls up the moutain but that would take more than a day to hike and only professional mountain hikers go beyond the 7th waterfall. Resort guests are allowed to hike only with a guide. They are strict with that regulation. In fact, we were asked to register our names before the hike. While trekking, our guide gave bits of trivia about the place. We also learned about the various flora and fauna that inhabit the mountain. Our guide specifically instructed that the first three falls are only for photo opps purposes because there have been cases of falling rocks especially when the current is strong. The 4th waterfall was conducive for swimming. In fact, there was a hut in the area where we were able to buy boiled bananas. We were too excited to trek that we did not eat lunch before embarking on our hike. There were children already swimming in the small pool of fresh water that Rap and I weren't able to resist taking a dip. The water was so cold yet refreshing! We continued going up to the last three waterfalls. The 7th waterfall proved to be the best of them all. The pool was bigger and deeper. This time, my husband, my mother-in-law, and my husband's cousin swam with us. We did not stay long because the water was colder here and it was already starting to drizzle. Our guide also told us that it's still a long walk down to the picnic area. We took a different path going back to our picnic hut so as not to block the way of the other hikers going up the falls. This time, we passed by a small community where we were able to buy potted flowers. We also spotted some fruit bats resting on the trees. We had to enter the backdoor gate to go back to the resort. We passed by the hot sulfur pools (not for dipping) and the boating lagoon before finally reaching the picnic area. Don't miss going to Mambukal Mountain Resort whenever in Bacolod City. At least allot a day or two (overnight) to be able to fully enjoy the place. There are private lodges to stay for the night and there are also food merchants selling cooked food if you prefer not to bring or cook your own food. Other facilities include the Canopy Walk, Slide for Life, Wall Climbing, the Ishiwata Camping Ground, a Conference Hall, and a Coffee Shop. Mambukal Mountain Resort can be found in Barangay Minoyan, Murcia, Negros Occidental. For reservations, you may visit the Mambukal Reservation Office at the Provincial Capitol along Gatuslao St., Bacolod City or call +63(34) 709-0990. 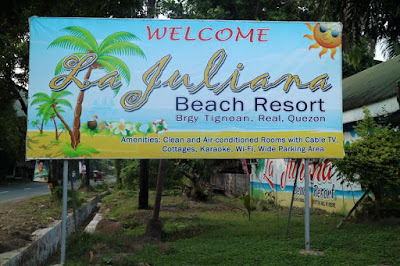 For inquiries about the resort, you may call the resort's office at +63(34) 710-0800. To get there, ride the bus plying the Bacolod-Murcia route from the city proper or the public market. Just ask the locals for directions. Mambukal Mountain Resort is the last stop of the bus. For private cars, just refer to the map below. I've been to Bacolod for a couple of times already but never had the chance to indulge these great nature treats. I will be saving this one on my list, if I ever get the chance to go back. I've been to Bacolod three times already and has been to almost all of the must-visit and must-eat places nearby. So the next time I'm there for the MassKara, I think I'll make an effort to visit this place. Thanks for sharing. I've never been to the Philippines before - looks gorgegous and thanks for this great introduction! thank you for a very informative and fun sharing of your experience. i will visit this nice place.